Measure, pour & store! Made of heat-resistant silicone, pour in hot liquids without a second thought. 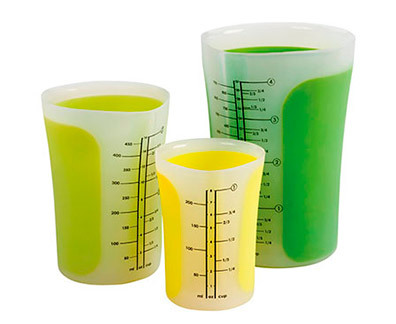 Each beaker has its own tight-filling lid for easy storage. At Hipcooks, we love kitchen tools that are multipurpose, & take little room in the cabinet. These are perfect!